Denpasar City is located at an altitude of 0-75 m above sea level. With total area 127.78 km² or 2.18% of the total area of Bali Province. From the use of land, 2768 hectares of land are rice fields, 10,001 hectares is dry land and the remaining land area of 9 hectares is for other uses. 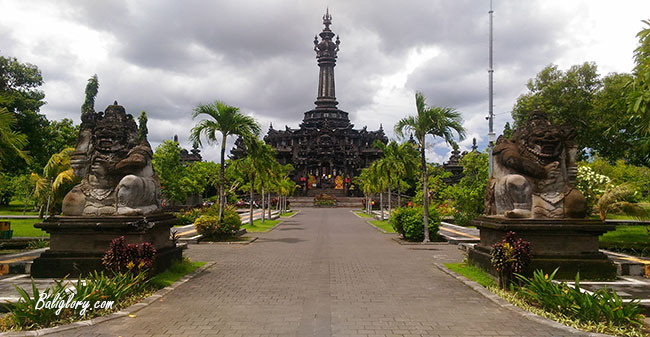 Denpasar, located just in the south of the equator, it has a tropical wet and dry climate, with hot and humid weather throughout the year and little temperature change throughout the year. Unlike many cities outside Indonesia with this climate, there is very little seasonal temperature change, with temperatures averaging about 28°c. The year is divided into two seasons: wet and dry. The wet season lasts roughly from November to April, while the dry season lasts from May to October. The temperatures are not extreme, but the heat, combined with the oppressive humidity and copious precipitation, makes the climate very uncomfortable at times. Ten minutes from the Ngurah Rai International Airport lies the town of Kuta. Kuta is where the most of the accommodation such as hotels, restaurants, malls, cafes, marketplaces, shopping center and spas that cater to tourists are located. In the Denpasar area, all kinds of Balinese handicrafts are represented in local shops. These include artwork, pottery, textiles, and silver.